The amount of time between a woman's pregnancies has been linked to the risk of her child developing autism, according to a new study published in the journal Pediatrics. "Children conceived in less than two years after the birth of their older sibling or greater than six years have [about] a two- to threefold increased risk of being diagnosed with autism," said researcher Lisa Croen, director of the autism research program at Kaiser Permanente. Previous studies have shown increased risk with short and long pregnancy intervals. Ousseny Zerbo, PhD, research fellow with the Kaiser Permanente Division of Research and the study's lead author says "And while additional research is needed, our study adds to the growing body of evidence about various risk factors for autism." While pregnancy intervals are not the cause of autism, it is an association and more research is needed on the subject. Autism is a mental condition, present from early childhood, characterized by difficulty in communicating and forming relationships with other people and in using language and abstract concepts. The cause is currently unknown and while treatment can be helpful, there is no cure. The study was performed on 45,261 second-born children delivered between 2000 and 2009. Autism was diagnosed in 0.81 percent of second-born children following interpregnancy intervals (IPIs) of three to four years. In second-born children with IPIs of less than six months, the prevalence of autism was highest at 2.11 percent; for intervals of six to eight months, 1.74 percent; and for intervals of six years or more, 1.84 percent. 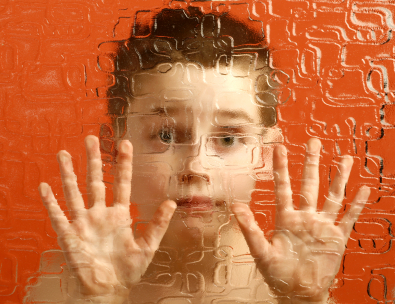 Of the 45,261 second-born children, 878 had an older sibling diagnosed with an autism spectrum disorder. These were analyzed and found to follow the same pattern of risk with short or long pregnancy intervals. Unlike other studies, this study was able to rule out the possibility that other autism risk factors explained the findings such as maternal BMI or change in BMI between pregnancies or by parental age, maternal antidepressant medication use, or unfavorable events occurring during the first or second pregnancy. These findings support the World Health Organization's recommendation of spacing out pregnancies at least 2 years apart. Short pregnancy intervals have been linked to some psychiatric disorders, such as schizophrenia. According to the World Health Organization, "spacing pregnancies at least 2 years apart can avert 10% of infant deaths and about 1 in 5 deaths in children aged 1 to 4."